Across the country, scores of parents just sent their young children off to preschool for the first time. It’s a happy and exciting transition–but for many parents, it can also be stressful. What can they do to help ensure that their child has a great year, especially if their son or daughter has special needs and requires accommodations? At the end of summer, many parents send their children off to school with relieved grins on their faces. But if you’re sending your child to an early education program for the first time this year, you may experience more complex emotions–especially if your child has special needs. Try not to fret; there are plenty of resources and experts out there to help make the transition as smooth as possible. Inclusive early education programs like the one we have at the Frazer Center are a good place to start. As an Inclusion Specialist, it is my job to ensure children with special needs and their families receive the direction and resources they need. Still, having an inclusion professional within the program is just one of many benefits. There is more and more research available that supports the benefits of inclusion for young children with and without disabilities. Studies have shown that individualized evidence-based strategies for children with disabilities can be implemented successfully in inclusive early childhood programs, according to the U.S Department of Education. Once you’ve found an inclusive program that you feel comfortable with, check out this list of things you can do to better ensure your child remains developmentally on track. Starting your child with a special need at an inclusive early education program can be stressful, but remember that you are not alone and the benefits and resources your child receives will be a tremendous tool for his or her future learning. Start the Individualized Family Service Plan (IFSP) and/or Individualized Education Program (IEP) process as early as possible. This process can be very involved and often overwhelming. Unfortunately, the longer you wait, the more daunting it can become. While your child must be at least 3 years old to qualify for an IEP, it’s never too early to get help for potential developmental delays or learning issues. 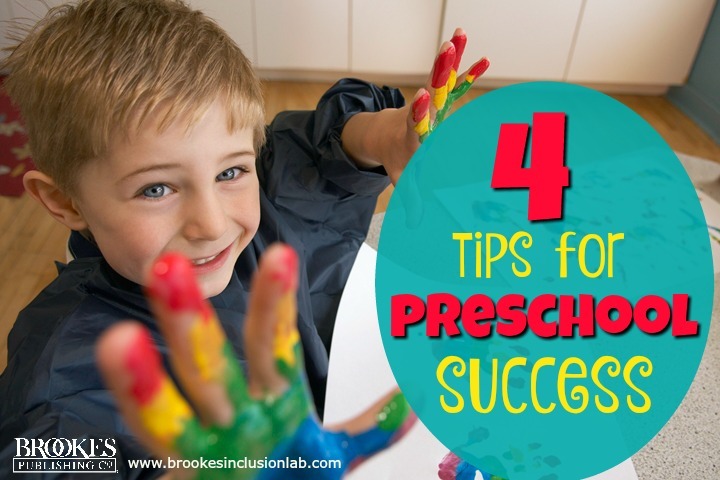 Starting an IEP/IFSP as early as possible not only ensures accommodations and supports for your child, but also makes the transition from preschool to kindergarten much easier. This is especially true if schools in your district cannot provide the resources needed for your child and other accommodations have to be arranged. This is important for every parent, but especially for parents of children with special needs. Not communicating upfront often leads to increasingly inefficient communication down the road. Let us know what’s happening! Has your child not been sleeping as much as usual? Is there a new fear to overcome? Are you confused about something on the IEP? Be sure to keep your child’s teacher informed. It might also be useful to start a communication log, since the notifications and updates you will receive about your child will only increase. It’s a good idea to catalogue them all together. Start a routine for before and after school. This only applies to older children who will be starting kindergarten shortly–infants have their own (albeit unpredictable) routine. Regular routines help kids cooperate, learn to take charge, and keep a schedule. Routines give them consistency, certainty, and safety. Structure at home regularly translates to good behavior at school, reducing time spent on negative feelings and distractions and allowing children more time to learn and develop. Any high-quality early education program affords plenty of opportunities for parents to stay actively involved in their child’s blossoming education. Join the parent-teacher committee, serve as “lead” parent for your child’s classroom, and volunteer when asked. If your schedule is just too hectic to commit to a large time investment, at least be sure to always attend parent-teacher conferences, IEP meetings, and program-wide functions. Staying engaged is the most direct way to stay informed about upcoming events and potential policy changes. It’s where you strengthen relationships with teachers and administrators, as well as form beneficial relationships with other parents. As a parent with a child with special needs, program changes may affect your child more than a typically developing child. You are your child’s voice when decisions are being made, so be sure that voice is heard. Thanks to Nakeshia Wright for being on the Brookes Inclusion Lab today and sharing these excellent reminders for parents. What would you add to her list of tips? Add your suggestion in the comments below! Nakeshia Wright is an Inclusion Specialist at the Frazer Center in Atlanta, GA, one of the metro-area’s only inclusive early education programs. In this role she works closely with families, teachers, therapists, and other entities to provide the best possible experience for children with special needs. Nakeshia has worked for the Frazer Center since 2009 in various capacities, including assistant teacher, lead teacher, and lead Pre-K teacher. She is reliable in using the Inclusive Classroom Profile, and was named GAYC Certified Teacher of the Year in 2012. Frazer Center is one of only a few inclusive early education programs in metro Atlanta and is unique in serving both children and adults with disabilities at the same site. Frazer has a long-standing history of providing exceptional services to infants, preschoolers, and adults with physical and intellectual disabilities, including cerebral palsy, Down syndrome, and autism spectrum disorders. We provide training for caregivers, teachers, and parents, as well as screenings for children with early signs of developmental problems. Throughout our 65-year history, we have assisted thousands of children and adults with therapeutic, educational, and vocational services that maximize their potential for independence. For more information, please visit www.frazercenter.org. A version of this blog post originally appeared on the Frazer Center blog.